Browsing through pinterest I found a linocut image that struck a cord , an image that you wish you had made. It was by an artist called Sherrie York, whos amazing blog brush and baren , I started reading . 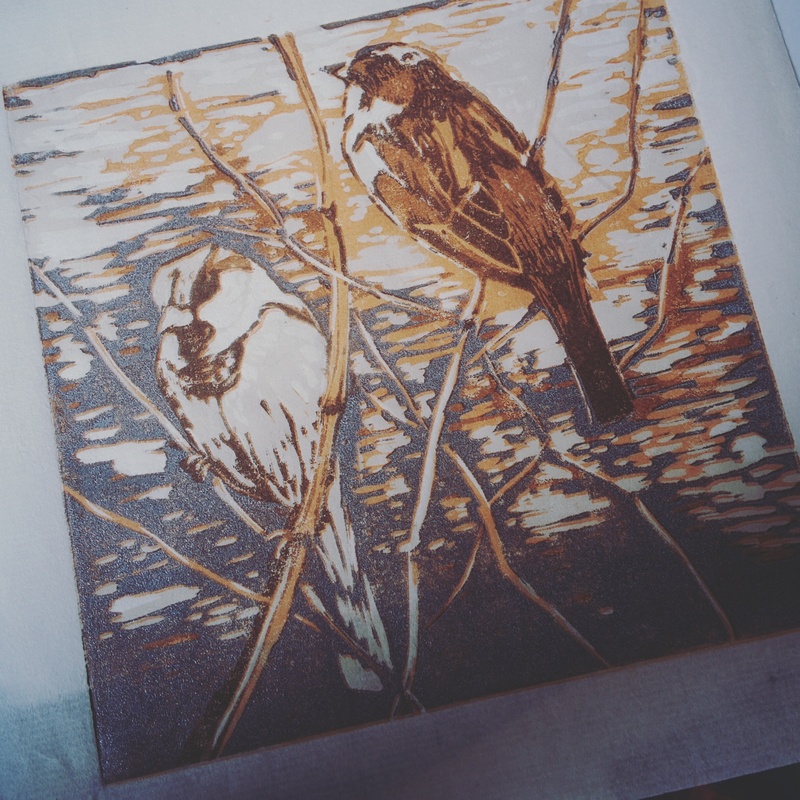 I discoverd a technique called masking for lino printing, which inspired me to have another look at my Two sparrows print from a few months ago , and keep adding colour to it till I was happy, as Sherrie York seems to do.